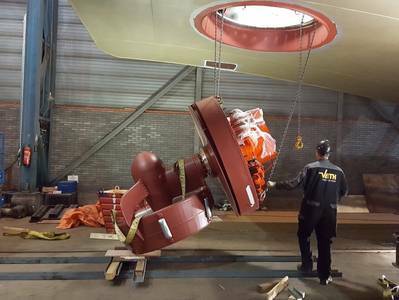 U.S. based power transmission technology and equipment manufacturer Twin Disc, Inc. announced it has entered into a definitive agreement to acquire the Netherlands based marine propulsion products supplier Veth Propulsion Holding, B.V. and its wholly-owned subsidiaries. Twin Disc said the purchase price is approximately $58.6 million plus net cash, with potential adjustments based on Veth Propulsion’s working capital as of the closing date, and will be financed through a combination of cash and new debt facilities. Additional consideration of up to approximately $3.9 million will be paid in Twin Disc common stock if certain earn-out provisions are met. The acquisition is expected to be completed in July 2018 and is subject to typical closing conditions. According to Twin Disc, Veth Propulsion’s broad and complementary product portfolio provides added value to new and existing customers. The acquisition further globalizes Twin Disc’s engineering talent and creates opportunities for faster marine and propulsion product development, including hybrid technologies, and reduces Twin Disc’s dependence on oil and gas, with new technology and sales outside of this market. It also produces compelling value creation opportunity, with strong earnings accretion and continued balance sheet flexibility, while creating significant synergy opportunities through increased global sales, service and after-sales support of up to $2 million in operating income on an annual basis by fiscal year 2021. For calendar 2018, Veth Propulsion is expected to achieve sales of $60 million. The acquisition is expected to be accretive to Twin Disc’s U.S. GAAP earnings by the second year of ownership, in fiscal year ended June 30, 2020.